Widely regarded as one of today's most important composers of orchestral music, Kalevi Aho has written fifteen symphonies to date, but also twenty concertos. Indeed, he himself describes his on-going series of concertos for each of the main instruments in the Romantic symphony orchestra as 'one of the most important and most ambitious of my composition projects'. 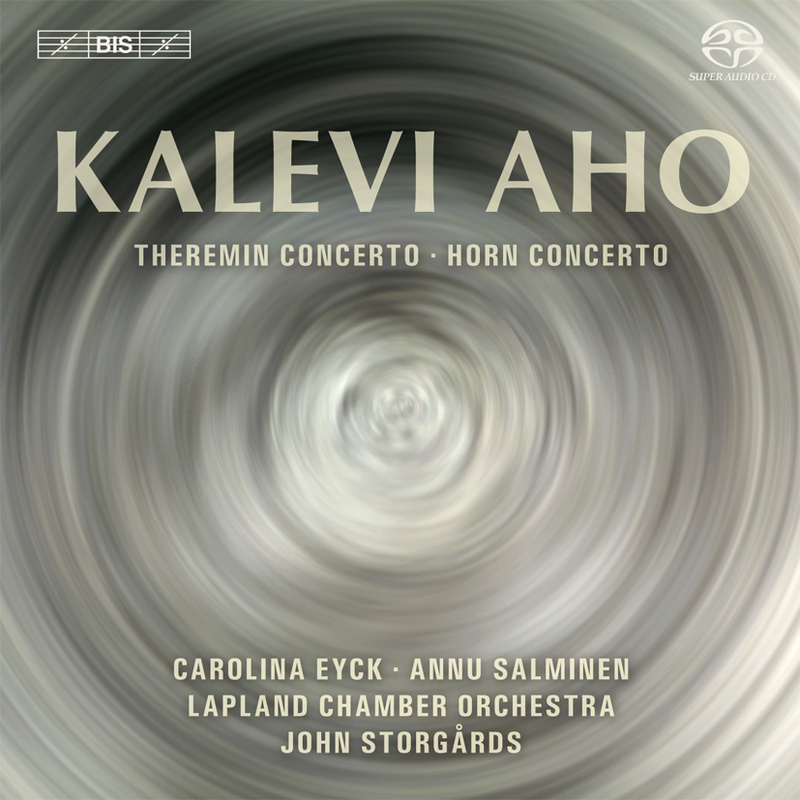 One of the latest additions to this series is the Horn Concerto, composed for the Finnish horn-player Annu Salminen who also performs it on the present recording. The one-movement work differs from Aho's other concertos in that it includes what the composer describes as a 'ritualistic' element: the horn’s first entries are heard from backstage, after which the soloist enters the stage, moving gradually from left to right before leaving the stage again towards the end. In the Concerto for Theremin, there is also a theatrical element, this time springing from the nature of the instrument itself. Invented in 1920, the theremin is the world's first electronic instrument, and consists of two antennae, both of which respond to the movements of the player's hand in the air. The instrument is played without being touched, and Aho describes the experience of hearing it as 'magical – the soloist is like a magician, a weaver of spells, producing music just by moving his hands without touching the instrument at all.' After having been introduced to the theremin by Carolina Eyck, and deciding to write a work for her and the Lapland Chamber Orchestra, this 'shamanistic aspect' led Aho to conceive of 'Eight Seasons': a concerto in eight movements, played without a break, and based on the traditional division of the year by the Sami, the indigenous people of Lapland. The wide range of sounds and effects available on the theremin are used by Aho to depict seasonal events such as the first frost, the melting of the ice and the midnight sun, and his score also exploits Carolina Eyck's unusual ability to simultaneously sing and play the theremin.